When your Nexus 7 arrives this week, try not to freak out that it sits in portrait mode and won’t rotate to landscape from the home screen. The device was built to be a portrait tablet, just look at the back side and the front facing camera location. Think of the home screen UI as if it were a phone and not a two-hand holding tablet. It was created for media consumption that includes reading books, browsing the web, etc., things you would all do from a portrait view for the most part. If you want to go landscape though (outside of the home screen) to watch a movie, you can, just by rotating your device. It is really no different than your phone. If you notice that the device isn’t rotating, feel free to pull the notification bar down and hit the rectangular icon with the two arrows around it. Actually, if it’s not rotating, it’s probably showing up as a lock with two arrows around it. In order to get your device to rotate, it needs to have the box with arrows. 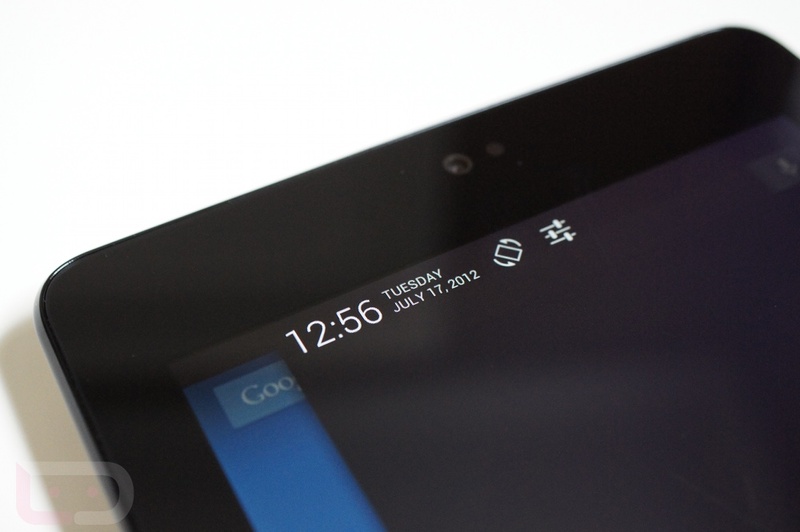 And if you have to have the landscape tablet experience while on the home screen, there is a hack for that. Or you could install a third party launcher.